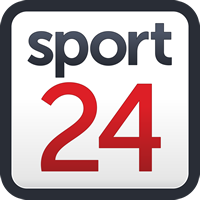 Multiply Titans captain Dean Elgar insists that their twin regular season Momentum One-Day Cup wins over the World Sports Betting Cape Cobras will count for nothing when they face off in the first semifinal in Centurion on Wednesday. The hosts crushed their visitors by 83 runs and then 10 wickets in their two meetings over the past few weeks, making them huge favourites for the game at SuperSport Park. "It was my conversation with the squad on Monday," Elgar stated. "The fact that we beat them in the round robin, it means nothing. It's a totally different scenario now and they are a team that plays finals cricket very well. Indeed, Duminy is one of four Standard Bank Proteas who become available again for their franchises – three of whom are back to bolster the home side. They are big guns Dale Steyn, Aiden Markram and Tabraiz Shamsi. Elgar says it will be a huge boost to have them back, especially after the table-toppers lost their last two matches of round-robin phase when they fielded slightly more experimental teams. "It's definitely beneficial for us and we're extremely grateful to have them," he said. "We welcome them back and hope they make a big difference. "We obviously have to give ourselves the best chance to win another trophy and, if we can field our best squad, I'm sure it will give us a chance. "Our last two games haven't been the best for us, so we now have a few class cricketers back that can be an advantage. It will give us the best opportunity to get the trophy." Pressure is set to be heavy on both sides. The Titans have a proud cross-competition record, but until now, have been fairly average this season. The Cobras too have a big history and are without a trophy since winning the 2014/15 Twenty20 title. "To win the trophy you have to go through the round-robin stage, the semifinal and the final," Elgar added. "You have to do well through all the phases and it’s a pressure situation we've been put in. "There's no guarantees unfortunately, the game starts from nought for nought, it's one massive game for us and then hopefully the final. It's a high-pressure situation and I'd like to think that our players are equipped for that." The Cobras lost their most recent game when they went down to the Warriors at the weekend, missing out on a home semifinal in the process. Their coach, Ashwell Prince, admits it has been a topsy-turvy competition. "We've not really managed any momentum at all, two in a row is the best we could get in the middle of the competition," the Cobras boss added. "But it's a very tight competition and if you look at the final standings, the Titans have won six and the next two managed five, so it's an indication of how tough the competition was." The Titans squad: Farhaan Behardien, Corbin Bosch, Junior Dala, Dean Elgar (capt), Theunis de Bruyn, Tony de Zorzi, Heino Kuhn, Gregory Mahlokwana, Aiden Markram, Sizwe Masondo, Tshepo Moreki, Marcello Piedt, Grant Thomson, Tabraiz Shamsi, Dale Steyn, Jonathan Vandiar. The Cobras squad: Akhona Mnyaka, Aviwe Mgijima, Dane Paterson, JP Duminy (captain), Dane Piedt, George Linde, Janneman Malan, Kyle Verreynne, Pieter Malan, Rory Kleinveldt, Tladi Bokako, Tsepo Ndwandwa, Vernon Philander, Zubayr Hamza.